Country catering at its best – this is no place for frugal portions or food that doesn’t add to the occasion! 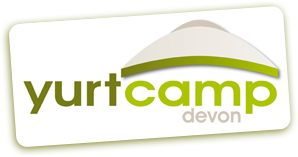 Feast your eyes on a varied range of menus, all created to compliment the Yurtcamp Devon experience. We are dedicated to sourcing local produce and then preparing all your food here in our own kitchens at Yurtcamp. From a Devon hog roast to a range of main course ideas – plus our Devon puddings, locally sourced cheeses and drinks... prepare yourself for a taste of Devon hospitality! We are constantly evolving ideas for – ‘meet & greet’ evenings, weddings, suppers and themed parties, ensuring our guests always get something new and a little different. We will be delighted to meet with you personally to discuss your needs, and to give you advice to make sure that The Woodland Cafe delivers your exact requirements.